Bagamoyo district allocated at Coastal Region, United Republic of Tanzania. According to district profile, 2008 the district had total population of 228,967 of which 113,991 are males and 114,976 are female. The most economic activities taking place in the district is only fishing. According to district profile, about 94% of the whole population depends on traditional fishing of which men are main actors leaving 2% of women acting as a market for. There is other cash crops like coconut but many of trees are old one hence need new initiatives to renew although ownerships of these farms favors men who culturally inherited/allowed. Majority of Bagamoyo citizens live under absolutely poverty/under one dollar per day and many of them live at remote/village areas were social services are at minimal stage. 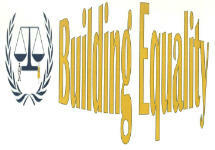 Building Equality is the local (District) women based non profit organization registered in 2010 with the registration No. 15NGO/00003830 working on women empowerment in health, culturally, technologically, environmentally, socially, legally, economically and decision making at Bagamoyo District, Coast region in Tanzania. The organization originated from Women small groups engaged into different small hand based activities to sustain their daily basic needs. Due to lack of support, they decided to join venture through NGO formation for advocacy and lobbyist. This is due to fact that, Women are left behind in all spheres around the district and government efforts are not enough. Women becoming exploited, unemployment, most malaria and HIV/AIDS victims, are not allowed to inherit land/property culturally, poor, uneducated and isolated. Ninety percent of beneficiaries are poor, marginalized, disadvantageous and special groups of women and girls. SWOT analysis is our best too in assessing day to day operations of the organization in terms of services delivered per time per resource culturally, technologically, environmentally, socially, legally, economically and decision making. Provide revolving or rotating fund for women that supported with entrepreneurial skills. Conducts meeting with heads of the district in public and private offices so as to pressurize them on promote capable women in their daily duties and responsibilities and enable them to participate in decision making meetings. Currently, the organization has the total of 309 member district wide. The organization makes decision in constitutional meeting and decisions are made in two organs. Executive committee consist of three people thus chairperson, secretary and treasurer. Their decisions always have to be approved by Non executive committee comprises of seven members headed by head of Non executive committee. A total of ten (10) executive and non executive members . Also there are four (4) volunteers (organization lawyer, project officer, internal Evaluator and field officers).